A young man survived a suicide attempt from the Golden Gate Bridge in San Francisco - an odds-defying incident made even more unusual by a helpful marine mammal. Wrestling with depression as a teenager, Kevin Hines jumped from the bridge in 2000. 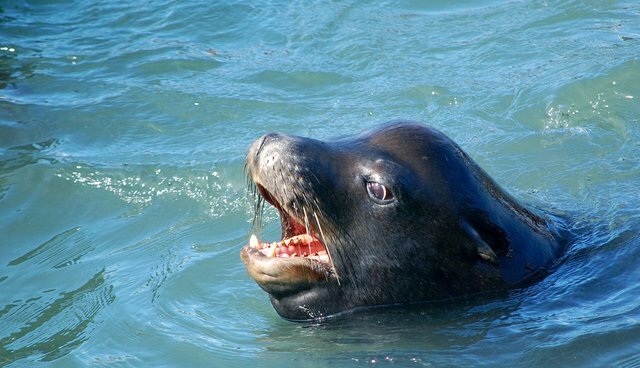 He survived the fall, only to encounter a sea lion in the bay. "I was freaking out in those waters," Hines, who is now a mental health advocate, told the AFP on Wednesday, recounting his story as part of a suicide prevention conference in Australia. "And I was thinking I didn't die there and now I am going to die here in the water because of a creature of some sort. I really thought it was a shark and I thought it was going to take off a leg and I was panicking." To Hines' surprise, the animal swam from below and pushed him - broken back and all - to the surface. Accounts differ regarding if the animal was a seal or a sea lion - but Hines agrees with the bystander who says he saw a sea lion. Hines' rescue, as remarkable as it is, wouldn't be the first to put a marine mammal in the role of hero. It's a trope that dates back to Greek antiquity, and one that surfaces every few years. A group of British divers lost at sea in 2004, for example, attributed their survival to a pod of dolphins. And even though there's no concrete evidence that dolphins have saved people from sharks, as shark expert David Shiffman points out at Slate, they are known to fight sharks from time to time. People are available to talk, 24 hours a day, at the National Suicide Prevention Lifeline: 1-800-273-8255.